Update: AltspaceVR is hoping to remain open – see my update for more (such as was available at the time of writing). Altspace VR, once regarded by The Verge as “one of the most fully developed platforms” for social VR, is shutting down. The new came via an AltspaceVR blog post, which was quickly picked-up by a number of tech media outlets. We’re a venture-backed start-up. We had a supportive group of investors that last gave us money in 2015. It looked like we had a deal for our next round of funding, and it fell through. Some combination of this deal falling through and the general slowness of VR market growth made most of our investors reluctant to fund us further. We’ve been out fund-raising but have run out of time and money. 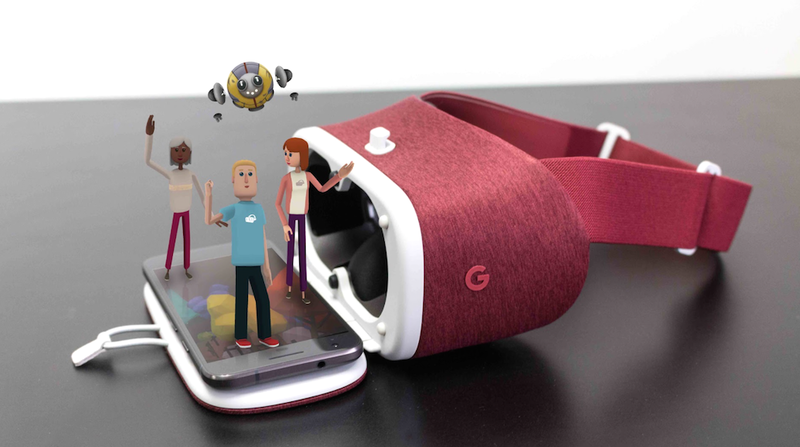 In all, AltspaceVR raised some US $26.3 million in funding through two rounds of investment, with US $16 million raised in 2014, and a further US $10.3 million raised in a second round of funding led be Raine Ventures. 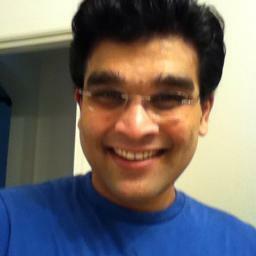 Techcrunch reports other investors including Comcast Ventures, Dolby Family Ventures, Lux Capital and Rothenberg Ventures. 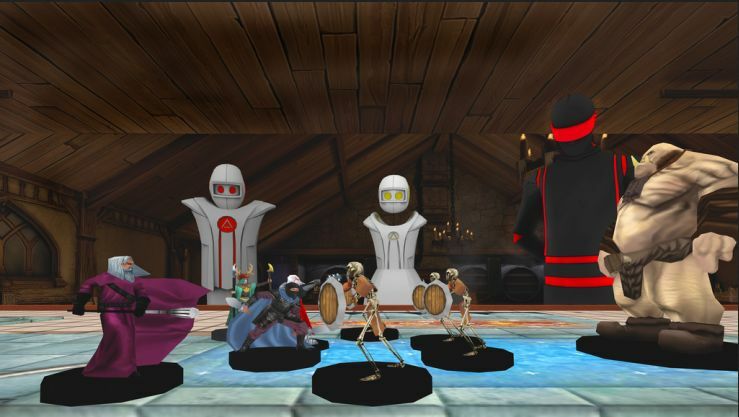 Initially, AltspaceVR was seen as quirky given the initial avatars were simple in approach compared to virtual world platforms, but users who tried it out tended to be attracted by the platform’s ability to offer virtual spaces for socialising, giving the company something of a lead in the so-called “social VR” space which is now the subject of much talk. Fellow blogger and VR / tech expert Austin Tate was one of those who dipped his toes into the application, and he offered insight into things as it opened its doors, including a look at the interactive capabilities then on offer. At its height, AltspaceVR reported around 35,000 monthly users on the platform, who use it for around 35 minutes each per day. That might not sound a lot by Second Life standards, but considering the slow take-up of VR outside of certain niche areas of early adoption, it’s actually not bad and perhaps indicates there is potential for VR environments where people can get together and share time and (web-based) content (the platform also offered a dedicated SDK for building “in-world” content and games). Certainly, the take-up was enhanced by the push to make AltspaceVR genuinely cross-platform in approach and accessibility – although some of the claims around the application, such as it hosting the “worlds first VR wedding” did cause some eye rolling among established users of virtual spaces given just how long wedding in VR (albeit without fancy headsets) have been going on. Nevertheless, the platform has developed a loyal and supportive community – and may have done as much as anything else to convince the likes of Facebook that there is something to the “social VR” thing. Elsewhere, the news of the closure is likely to be seen by some as a stroky-chin-I-told-you-so moment, quite possibly with sagely negative nods towards the future of Sansar and similar platforms. However,while Sansar is making a play for the “social VR” space as well, it’s important to remember that AltspaceVR is a very different, more focused beast than Sansar, despite some (incorrectly) labelling AltspaceVR as “Second Life for VR” in the past. 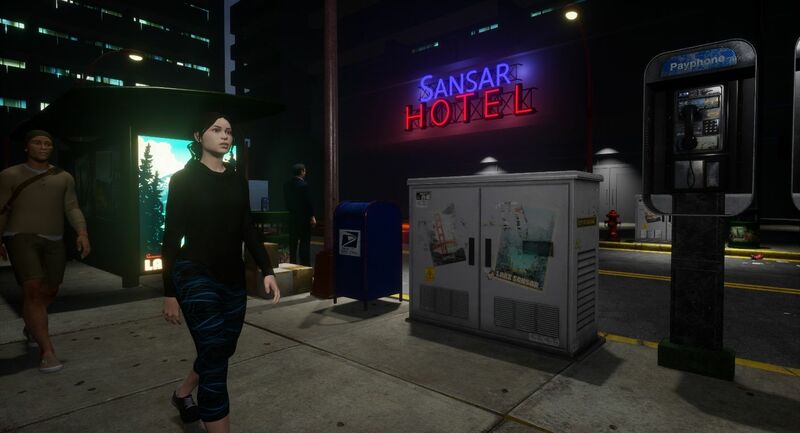 Sansar is clearly aiming for a much higher sense of immersion, with far more involved capabilities which will allow it to function as an effective platform across a range of potential markets and audiences and meet the needs of a broad range of use cases. However, it is perhaps a salient reminder as to just how nascent the current VR market really is, and why keeping a weather eye on how things progress – and the time frames involved in seeing them progress – is vital. For those engaged in AltspaceVR, the announcement of the closure is worth reading through in full, as it offer tips on saving photos and friends lists, and how those using the SDK might see the web content they developed for AltspaceVR live on elsewhere. There’s also a note that come Thursday, August 3rd, there was be a final party in Altspace VR, which will culminate in the doors closing at 19:00 PDT. A salient warning about “social VR”? Balaji Krishnan appears to be a man on a mission: to offer a wake-up call to those engaged in the nascent world of “social VR” that the kind of future they’re chasing might not exist. He’s most notably pursuing this mission in op-ed pieces. In March he put his case Upload VR under the succinct title: In Why Social VR Probably Won’t Work the Way Social VR Developers Think, (subsequently reprinted on May 1st by PSFK.com). In April he followed it up with a more targeted piece for VentureBeat: Sorry, Zuck: AR & VR won’t replace TVs or phones. 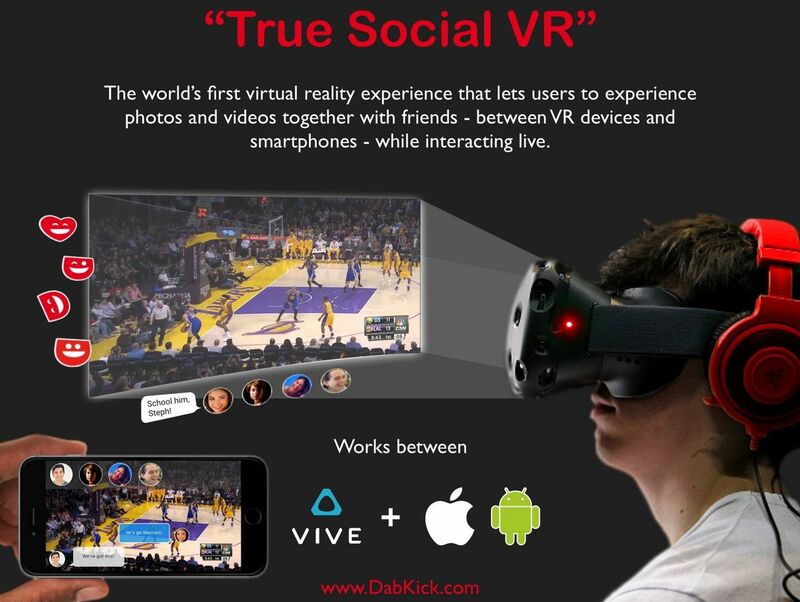 In the first article Krishnan – the founder and CEO of Dabkick, which credits itself as developing the first “true Social VR experience“, states his case pretty clearly through the title of the Upload VR article: that social VR may not work the way most “social VR” developers – he notes Valve, High Fidelity, AltSpace VR, Linden Lab and Facebook in particular – expect. This is not to say he thinks these will fail; rather than they won’t achieve the kind of mass-market prevalence we’ve seen with the likes of smartphones – the technology VR is often touted against as having the same disruptive potential. Now, to be fair, I don’t agree with all of his points. In particular, the slow growth in the volumes of shipped headsets to date is not indicative that they won’t grow faster in the future; particularly as the technology finds its footing and the price-point computational power required for high-end systems comes down and overall quality and ergonomics of headsets improves with future generational developments. But – and here’s where I do agree with Krishnan: the hardware and the price-point aren’t the key to getting VR to appeal to a mass market. Rather, the key to getting VR viral in the manner of smartphones is presenting it as having a convenient relevance to people – whether as a source of entertainment or social engagement or business or gaming or whatever – that’s important. And that’s actually a tough nut to crack. 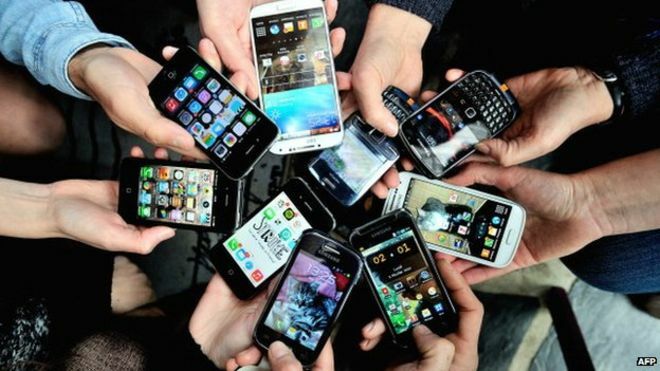 Take smartphones for example – as Krishnan does.That they have become a central pillar of many people’s social activities, spawning an entire ecosystem of applications and opportunities for sharing and creative experience wasn’t planned or engineered from the outset. It came about because someone realised that just as MP3 players could offer music on the go, then so could a ‘phone. And if you stuck a camera on a ‘phone, people might like to take pictures with it. It was an organic process – one which never lost sight of the ‘phone original intent: a convenient means of communicating, and built on that convenience over time until the smartphone became an indispensable part of our daily lives. However you look at it, VR isn’t anywhere close to the ubiquitous nature of something like a smartphone – nor, really, can it be. So trying to present or engineering a future where it can be is perhaps shooting wide of the mark. And really, the idea of “social VR” is another way of trying to engineer a future for VR which might not really stand up to the litmus test of what a “mass market” actually wants. As it is, we’ve had around a decade of organic development and growth of a “digital social ecosystem”; one that offers many, many ways of engagement which are flexible enough to meet our needs wherever we are, and whatever we’re doing. Krishnan argues that if “social VR” is to succeed, it must feed into this ecosystem, nurture it, support it and add value to it; seeking to simply “revolutionise” it isn’t enough. It must be intuitive enough to be used quickly, easily and conveniently wherever someone is and whatever they might otherwise be doing. if not, then it’s unlikely to spark people’s imaginations enough to buy into it as massively as is hoped. So where does that leave something like Sansar? On the one hand, and as I’ve oft stated, it is pretty clear that there are markets where VR can have a significant impact. As such, if Linden Lab can hit all the desired nails on the head, then the platform could enjoy considerable success within those markets. On the other, the idea that it could become a broad-based “social” environment, outside of very specific use-cases, perhaps doesn’t stand up so well, for the reasons outlined above. Simply put; people can already undertake wide-ranging social activities through digital means, individually and collectively; simply dangling “VR” in front of them may not necessarily persuade them they need to change how they’re doing so. 2016 was the year of virtual hype whereas 2017 is the year of actual realities, in terms of what is achievable from a business sense related to market size, opportunities and potential revenues. Should developers or publishers get involved now? Absolutely but with an intelligent approach and realistic expectations of what these early days sales returns could be. So considers Sam Watts, director of immersive technologies at Make Real, in a comment quoted by Jem Alexander, in the first part of his series penned for Develop looking at the hype, tech, hope, hang-ups and potentials of Virtual Reality. The piece stands as a reasoned look beyond the hype of VR’s 2016 rebirth, thanks to the arrival of the Oculus Rift, HTC Vive, Cardboard, Daydream, Gear VR and – perhaps most importantly of all, at least in terms of sales – Playstation VR. Yes, there has been a lot of hype, which the first year of consumer facing VR really hasn’t matched. Some have seen this as cause to deride the VR movement as a whole, relegating it to the role of “fad” – which in itself is perhaps a tad premature. In writing this two-part series, Jem Alexander avoids both extremes and instead offers a discussion which is reasonably balanced and reasoned – and offers a perspective from many of those at the sharp end of the industry. In the first part, entitled Where are we now, they offer an honest assessment of the market which is both positive while carrying a solid note of caution for those considering taking the VR plunge, as shown in the quote from Sam Watts, above. There are several reasons why VR’s first year hasn’t lived up to the hype. For a start, the hardware isn’t exactly off-the-shelf, as those talking to Alexander notes. There’s plenty of room for improvements in the tech and the quality of the experience and offer it at a much lower price-point than today. Thus, taking the first year’s sale figures as being indicative of VR’s future is liable to be misleading. The approach taken by some of the big manufacturers also didn’t help: when the Vive and Oculus launched their supporting ecosystem of games and applications was comparatively weak. Only Sony really offered a substantive ecosystem for the Playstation – and even this was derided in some sections of the VR media for being “merely” VR ports of existing games. Another aspect which potentially hasn’t helped VR to date is the “room-sized” versus the “seat” VR experience. As noted above, existing games ported to a VR environment is looked down on by many in the VR media, who have preferred to focus on all the juicy tech of room sensors, motion trackers, and associated gizmos which offer a “truly immersive” experience. But room-sized VR predicates itself on people having the room to indulge themselves and / or the willingness to spend time setting-up / taking down their wonderful gizmos. And what does all this emphasis on freedom of movement say to those who aren’t gifted with good mobility? So is room-sized VR really the be-all of VR at home? Those Alexander speaks to tend to think not, preferring to point to VR needing both. This is something which is picked-up in the second part of the series, Where do we go?, which also brings Sansar into the frame of the discussion. As with the first part of the series, Alexander opens Part 2 with another level-headed analysis of to how fast VR is liable to develop. 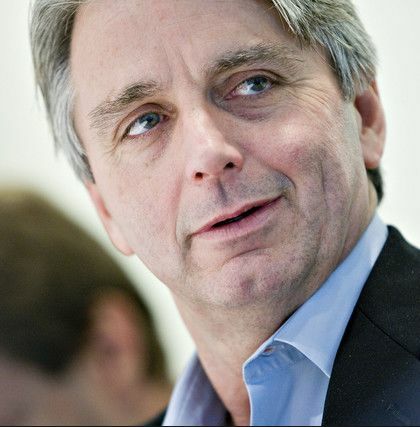 Unity CEO John Riccitiello, for example, doesn’t see VR really starting to take off until 2018 or 2019. His view is echoed by Tim Sweeney, CEO at Epic. He again cites the need for improved hardware, with more favourable price-points as being essential for the high-end VR market, something he doesn’t see forthcoming for a “couple of generations”. This puts his view in roughly the same 2-3 year time frame as Brendan Iribe at Oculus VR, who has indicated it’ll be around that long before his company will have their next generation hardware on the market. The core of this part is an examination of two emerging aspects of VR: the “out-of-home” experience and “social VR”. The former is the idea that rather than perhaps having dedicated space at home in which to experience VR, people will instead head off to the local “VR arcade” or “VR theatre” to enjoy a fully immersive experience of some description. This might sound fanciful, but The Void, a New York and London-based out-of-home VR experience has seen OptiTrack, the company behind much of tech used in the game, see an “explosion” of sales in the technology. When you think of the potential for not only immersive, group gaming environments, but things like group training and simulation, out-of-home centres could become a practical part of the entertainment and business landscapes, offering low-cost access to a wide range of VR environments and experiences for the public and clients. For “social VR”, the emphasis very much turns to Sansar. While he doesn’t directly praise the platform, it’s fairly clear he sees Sansar, with its potential to truly democratise how people can build their own VR spaces as a potential cornerstone of the home VR market. If it can truly replicate SL’s “secret sauce” in giving users genuine creative freedom in bringing truly tailored and personal VR experiences into their homes, free from the filtering of how professional VR developers and studios think people want to have them, then the future potential with the platform could be enormous. Through both parts of his examination of VR, Alexander offers much to read and consider, particularly for those who have extended doubts about VR and how it might fit the broader scheme of things (at least in terms of entertainment). As such VR Check-In Part 1 and Part 2 are well worth a side-by-side read. Development of Oculus Rift support within the official Second life viewer has been suspended. On July 1st, I blogged about the new Oculus Rift project viewer designed to support both the DK-2 and CV-1. The release, coming almost two years after the initial project viewer was made available, had been long anticipated among Oculus Rift HMD users in SL, and so the response was initially enthusiastic in terms of people downloading it. Unfortunately, as I subsequently reported, thanks to feedback from TTech, Ai Austin, Rai Fargis – who raised BUG-20130 on the viewer (still open at the time of writing, although that may change) – and others, the new project viewer had more than a few issues with it, and was seen as something of a step back in terms of general usability. Thank you for experimenting with our Oculus Rift Project Viewer and offering your feedback. Unfortunately, the Project Viewer that we recently made available didn’t meet our standards for quality, and so we’ve now removed it from the Alternate Viewers page. By definition, Project Viewers aren’t ready for primetime. The purpose of these experimental Viewers is to share with you the earliest possible version of what we’re working on, so that you can see what we’re up to, help discover problems, and provide feedback. In this case, though, we’re not ready for that, as those of you who tried it have seen. We can’t say at this point when or even if we may release another Project Viewer for experimenting with the Oculus Rift in SL. We want to prioritise our development efforts around initiatives that we know will improve the virtual world and bring more value to SL Residents, and due to some inherent limitations with SL, it may well not be possible to achieve the performance needed for a good VR experience. (In fact, this is one reason why we’re creating Project Sansar a new, separate platform optimized for VR). Providing support for high-end HMDs within Second Life was always going to be problematic; most of the content found in-world is unoptimised (and our avatars even more so), so producing the means by which the viewer could comfortably meet the levels of performance required for such HMDs, such as a consistent frame rate of at least 75 fps (DK-2) or 90 fps (CV-1), was always going to be doubtful. However, the Lab has remained reasonably bullish through about trying to offer an acceptable level of HMD support within Second Life – albeit it with caveats. For example, speaking at the TPV Developer meeting on Friday July 1st and just ahead of the Oculus Rift project viewer appearing, Oz said that offering HTC Vive support at some point for Second Life was something the Lab “would like to be able to do”. Well, we don’t actually know. Interestingly, most of the issues experienced with the new project viewer weren’t performance related, but focused on general usability: as UI problems, rendering issues, image resolution problems, etc., all of which had been acceptable on the previous release of the Oculus rift project viewer. Whether these point to something being fundamentally wrong with the viewer build, or whether there have been some intrinsic changes to the Oculus SDK software (the latest version of the viewer have leapt forward significantly in SDK support when compared to the last viewer) which are not limiting options for integrating it into the viewer is hard to say. All we do know is that from Oz’s forum comment, it would seem that fixing the problems which have been encountered would seem to be a non-trivial task – and once of potentially questionable value when compared to the possible return in terms of benefits to a broader cross-section of users other SL improvement initiatives might bring. Does this mean the end of all attempts to provide HMD support in Second Life? Again, that’s hard to say. In the short to medium term, I’d say most likely it does insofar as the Lab is concerned, given the general thrust of Oz’s comment. but that doesn’t mean a third-party developer might not be sufficiently motivated to at least take up the challenge and see how far they can get. Longer term, however, the door might not be so firmly closed. HMD technology is still in its infancy. so who knows what might come down the road in a couple of years time, and how it might influence the Lab’s thinking with regards to Second Life? Time ell tell on that one. With thanks to Baz DeSantis for the nudge. Update: July 8th: Linden Lab has suspended viewer support for the Oculus Rift. This article has been updated accordingly, notably with strikethroughs on links which are no longer valid.t. On July 2nd, I posted about the release of the latest Oculus Rift project viewer, version 4.1.0.317313. As I’m actually Riftless, I could do little more than take a surface poke at the viewer and leave it to others to have a more detailed look – and they have done so, and found things to be less than favourable. Additional visual and display issues. His experience mirrors that of other Rift users, including TTech (who also commented on this blog), and a number of users who have tried this 4.1.0 release of the viewer and have commented on the Oculus Rift forum thread ( see feedback commencing with this message onwards). At this point, I don’t have any real comment. It’s a Project Viewer, and one explicitly labelled Experimental at that… the point is for people to try it and let us know what they find out. To help let the Lab know what people find out in using the viewer, I’d like to point to a bug report – BUG-20130 – raised by Rai Fargis. While I am flattered that staff at the Lab do read this blog, if you are experimenting / trying the new Oculus Rift project viewer and experience specific issues, please add them to bug report rather than documenting them in the comments following this article (general feedback here is welcome, obviously). Doing so, and including with information on your system set-up, relevant log files, etc., guarantees your feedback is seen and recorded by the Lab, encouraging them to investigate issues. 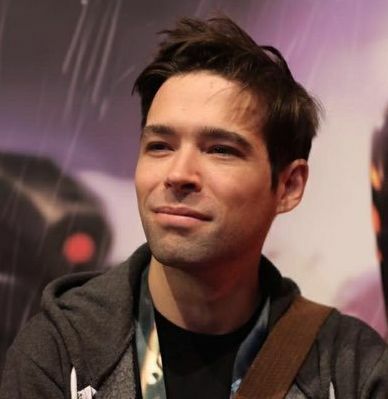 When reporting problems, one thing to keep in mind is that this version has leapt forward several iterations in terms of the Oculus SDK; therefore comparisons with earlier versions of the viewer may not be helpful (outside of possibly pointing to removed options which proved useful in dealing with specific issues in the past). Rather, specifics of issues encountered with this version will offer a better means for the Lab to start / continue investigations. At the moment, viewers operating in HMD mode have no means to tell the simulator they are doing so. Therefore, the Lab doesn’t have a means of accurately determining the numbers of people using Rift HMDs – and metric which could be useful in the future; as such, it is something which may change with a future update to the viewer. Update: July 8th: Linden Lab has suspended viewer support for the Oculus Rift. This article has been updated accordingly, notably with strikethroughs on links which are no longer valid. Update July 3rd: Those with Oculus HMDs are reporting significant issues with this update to the viewer via Twitter, the SL forums and YouTube, with some of the problems also being added as comments to the end of this article. Any specific, reproducible issues (allowing for the apparent quantity of problems being encountered) should be reported to the Lab via the LL JIRA, if possible. On Friday, July 1st, 2016, Linden Lab released the much-anticipated update to the Oculus Rift project viewer. The SDK from Oculus Rift does not support anything but Windows, so the other platforms are not supported for use with an Oculus Rift. This update means the project viewer should now support both the Oculus DK 2.0 and the new consumer version of the headset, the CV-1. Note, however, that it is not intended to support the HTC Vive as well (see below). In addition, the update brings the viewer up-to-date with all viewer releases through to the Lab’s current release code base, and so includes the plethora of updates over the last two years, up to and including Avatar Complexity and graphics presets. 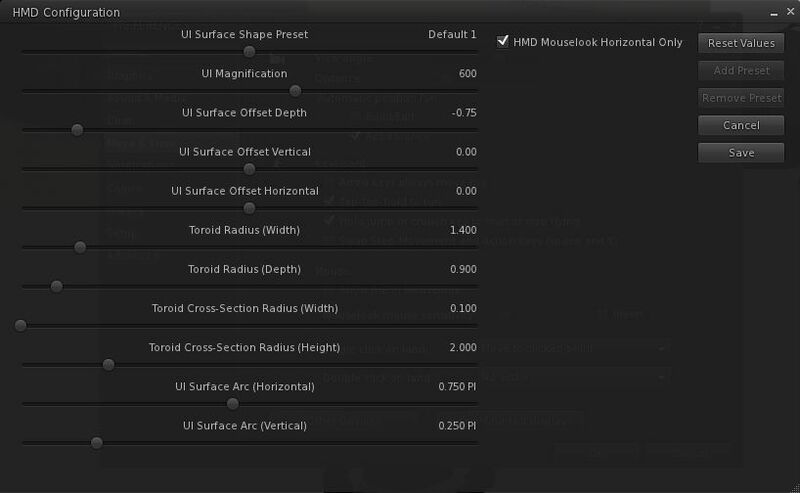 As with the previous version of the viewer, the Oculus Rift setting panel can be accessed via Preferences > Move & View. There is also an Advanced HMD menu option in the viewer’s Advanced menu, but I’ve no idea what this does (I don’t have an Oculus Rift of my own), and a toolbar button is available for those wishing to toggle in / out of the viewer’s “Rift mode”, which can also be done by pressing CTRL-SHIFT-D (note that using either of these options will generate an on-screen error message if a Rift headset is not connected to your PC). As has been repeatedly indicated by the Lab (e.g. the June 2016 Meet the Lindens chat with Ebbe Altberg), the nature of Second Life, where much of the in-world content (including avatars) has not been optimised for delivery at very high frame rates, the viewer is unlikely to deliver optimal Oculus Rift performance (e.g. 75 fps at all times for the DK-2 and 90 fps for the CV-1). It should, however, offer a “comfortable” level of performance sufficient enough for people to enjoy the immersive experience presented by the headset reasonably well. Going forward, the Lab plans to progress Oculus support through project and RC status and integrate it into the release viewer. There are no plans to offer a specific “Oculus Rift flavour” version of the viewer that will be maintained alongside a “non-Oculus Rift” version. Speaking at the TPV Developer meeting on Friday July 1st, Oz Linden indicated that providing support for the HTC Vive in Second Life is something the Lab “would like to be able to do”, but it is not something on the horizon at present. If and / or when the Lab might offer Vive support in SL, and how far that support might go (e.g. will it include support for using the Vive’s room sensors with SL) is an open question at this point is time.